The Festival Band's with lead singer Robert Grijalva. 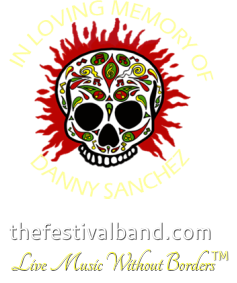 The Festival Band is a group of musicians based in Tucson, Arizona who provide live music entertainment in local clubs and venues. We play Tejano, R&B, Old School, Funk, Country and a little bit of Soft Rock. If you book us for an event and want us to learn a couple of songs, we will do that too! We play by our motto, "Live Music Without Borders" - Music for Everyone! We play by our motto, "Live Music Without Borders" - Music for Everyone!